Get ready for one more go-around of that very special feeling: Namely, to be completely unsure what you just saw, but feel the urge to break down crying anyway. 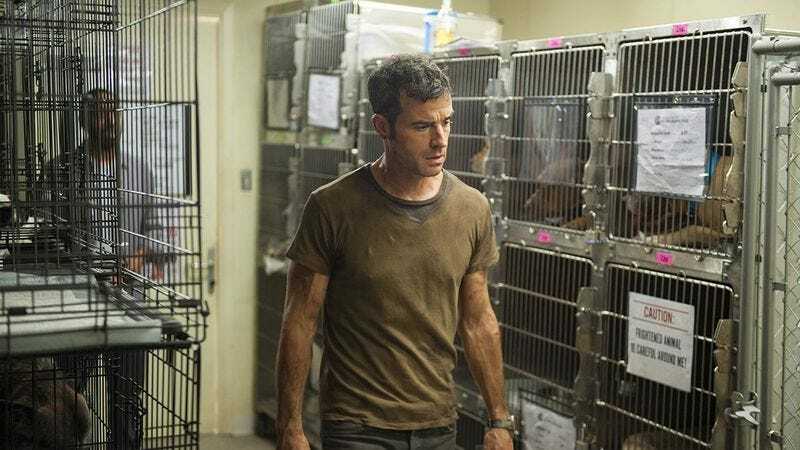 Deadline reports The Leftovers, HBO’s unbelievably good but not exactly ratings-crushing series about what happens when Justin Theroux crawls out of a bathtub naked, has been renewed for a third and final season. That is, unless we’re hallucinating, and this is a news story only we can see, and treating it as real means everyone else looks at us like we’re crazy. Referring to author of the original book Tom Perrotta and the crew who makes the series, showrunner Damon Lindelof offered some words that nicely capture the oblique but deeply felt spirit of the show. Tom, myself and our incredible team of writers and producers put tremendous care into designing those seasons as novels unto themselves…with beginnings, middles and ends. As we finished our most recent season, it became clear to us that the series as a whole was following the same model…and with our beginning and middle complete, the most exciting thing for us as storytellers would be to bring The Leftovers to a definitive end. And by ‘definitive,’ we mean ‘wildly ambiguous but hopefully mega-emotional,’ as all things related to this show are destined to be. Now that the second season has concluded its run, expanding the scope and story of Perrotta’s novel, it looks like Lindelof is intrigued by the idea of bringing everything to a close, which probably means some events that might or might not be justifiably considered miraculous. Also, more loving shots of Christopher Eccleston awkwardly trying to be an easygoing dude.